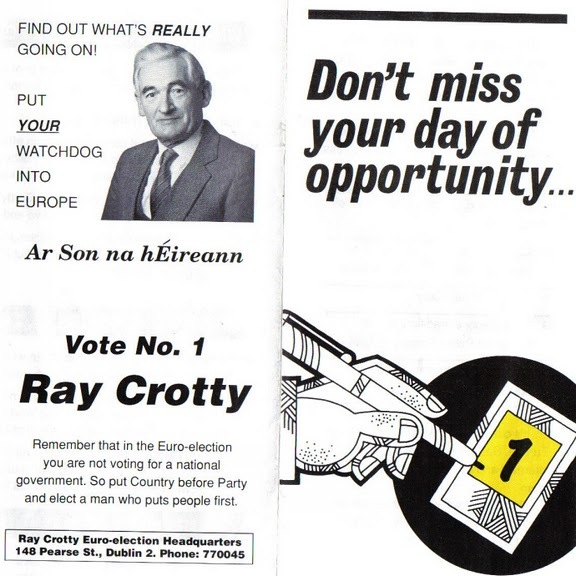 Ray (Raymond) Crottys 1989 leaflet. 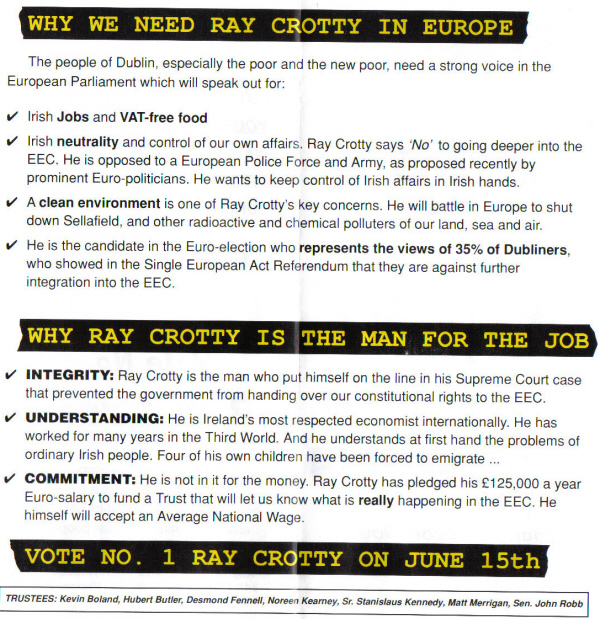 It was Crotty who took the case that stopped the Dail ratifying the Single European Act, so it is because of that Supreme Court Judgement we now have Referendums on all EU treaties…. How those in power must rue the day he took that case. He was also an opponent of Irelands entry into the EEC. The Trustees listed are a varied and interesting bunch in Kevin Boland, Hubert Butler, Desmond Fennell, Noreen Kearney, Sr Stanislaus Kennedy, Matt Merrigan and Senator John Robb.